I've been getting a few questions about running promos here on Readers in the Know, and although I'll be updating our Author FAQ very shortly to include some of this information, I thought I'd clarify a few things here also. First of all, I believe the way to view a promotion here on Readers in the Know (or on any other book site for that matter), is as a catalyst to stimulate Amazon's recommendation algorithms to work in your favour. I'll be posting more on my deductions about these algorithms very soon because in my view they are the key to increasing your book sales. 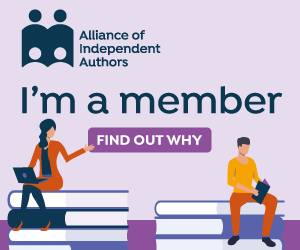 As our membership grows, you should find that simply listing your books here for our members and other web visitors to browse on the home page will, by itself, bring some incremental sales - especially here in the UK and in some of the other international markets - but a far bigger effect will always come from running promotions. See the video guide here. The most effective of these in terms of increased sales are Free and Discount Promotions, and although some of you may have negative feelings about dropping your price in this way, even for only a few days, the way I look at it, as I wrote in my last post here, is that instead of paying advertisers, you're simply choosing, for a limited time, to give a little of your marketing budget directly to your readers. Free promos are the easiest - assuming you're enrolled in KDP Select. Just set it up on Amazon using the KDP Select dashboard, and then schedule it here for the same period (max 5 days). If you are making your book perma-free (listing it as free elsewhere so that Amazon follows suit), then just make sure it really is showing free on Amazon before it starts here, since their timing is not always predictable on this. Once again, this is easiest if enrolled in KDP Select, since Amazon has now introduced something called Kindle Countdown Deals, where your price is shown to customers as temporarily dropped with a countdown timer next to it. You can also earn the same 70% royalty - even when priced at 0.99. At the moment Amazon only lets you run these in the UK and the US, and you have to set them up independently. So do this first using the KDP dashboard and then schedule it on Readers in the Know as a Discount promo, remembering to tick only the UK and US as the markets where it will be run, and entering the same promo prices as you entered when setting it up on Amazon. If you have multiple pricing steps in your countdown deal, just schedule new consecutive discount promos on Readers in the Know. If you're not enrolled in KDP Select, but still want to run a discount, then you can do this by editing your book's main pricing using the main KDP dashboard and changing it back again after the promo has run. This is obviously a little more involved and if you intend to run the discount in multiple countries, will require you to determine and enter the new pricing for each of these countries. To help with this process, I hope to soon be adding an automatic currency conversion tool to the promo scheduling module of our software. The giveaway promotion type here on Readers in the Know has probably generated the most questions, since it is quite broad in what it can cover. To put the record straight, it can be used to promote any mechanism whereby you are giving away a limited number of books. 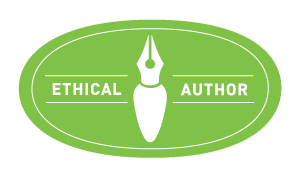 So whether you want to give away a certain number of signed copies of your paperback, or want to give the pdf of your book to people who subscribe to your blog, or whatever, you can promote that action here by scheduling a new promotion of type "Giveaway". The only requirement is that you clearly specify what readers need to do to qualify. I've noticed that some of you have been listing your Goodreads giveaways as events, and while there's nothing wrong with this, you will get far more exposure (daily email, Facebook posting and listing under Promotions in the menu) if you schedule it as a giveaway promo. Just include the relevant link to Goodreads and explain what people need to do in the criteria and description text boxes. Also be careful only to select countries to which you're willing to ship your books. Although Goodreads apparently views us as a rival - at least that was the reason they gave for cancelling my ads there a few months ago :) - I'm not the least bit concerned about sending our readers there, if there is some benefit to be gained. And at the moment, since they have a reputation for running and promoting giveaways, it makes perfect sense to combine forces with them when running such promos here. In fact this goes for all promos. We are one of many ways to extend the reach of the promotions you run on your books, and although the contribution to sales of Readers in the Know will increase as we grow, I strongly recommend you to continue using all the sites and services you can find, as this will always increase your results.